GREAT OAKLEY is a medium size village located 5 miles west of Harwich close to the coastal area around Hamford Water. The land to the south east of the village is protected y the coastal protection policy whilst the land to the north lies within the Stour Estuary Specia Landsacpe area. At the village centre there is a conservation area in which there is many period properties. Also within the village there is a primary school, public house and general stores. 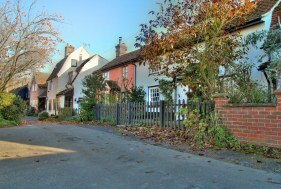 LITTLE OAKLEY is also a village being located on the outskirts of Dovercourt and Harwich and is easily accessed from the A120 at the Ramsey village junction. There is a general stores and a primary school within the village and the nearby towns offer a comprehensive range of amenities.